I’m in Love with THE GUERNSEY LITERARY AND POTATO PEEL PIE SOCIETY! As I mentioned in my earlier post (which you can read here) about The Guernsey Literary and Potato Peel Pie Society, I have absolutely been loving this book. I have been pulled into Juliet’s adventures and the stories of The Guernsey Literary and Potato Peel Pie Society. If I could hug this book I would! 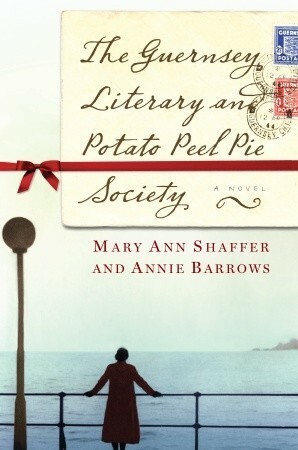 I am currently reading The Guernsey Literary and Potato Peel Pie Society by Mary Ann Shaffer and Annie Barrows. I am absolutely loving this book so far. I did not realize that the format of the book was set up as a series of letters, but it is incredibly interesting. In fact, I am enjoying this book so much that I have already compiled a bunch of quotes from the book. So many in fact, that I wanted to share all of them with you. I typically don’t post about a book as I am reading it, but I felt compelled to do so.